Mom's Gone Bronson! : Get a little extra, and give more, with Fashion Project! Get a little extra, and give more, with Fashion Project! If you love to shop, and love to give to causes across the board, then Fashion Project (.com) is a great new place for you! With high-end, gently-used items for sale, fashionproject.com is a shoppers paradise where you save big on your purchase and donate 55% of the proceeds from that purchase to a worthy cause like Autism Speaks or St. Jude's Children's Research Hospital amidst others! You can sort [what you want to buy] by order of charity that the item donates to OR you can simply shop by brand like Kate Spade or Coach., it is up to you! You can also search by size or condition but however you see it, it is win-win! It just couldn't be simpler! So what do you do, you ask? Well! You just head on over to the website, browse the vast array of gently-used high-end items, pop them in your cart and save a bundle. Meanwhile, that 55% of your purchase price wings its way over to charity and you've donated to a good cause - you have also picked yourself up a bargain in the process, how wonderful is that?! 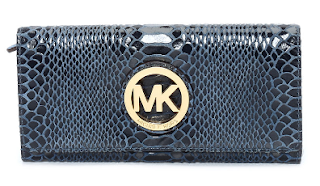 Want this Michael Kors Wallet for $99 instead of the $500 retail? 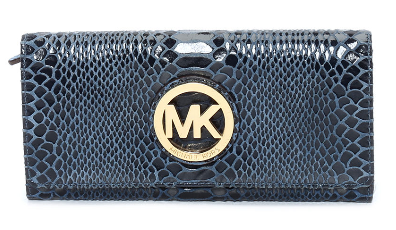 It could happen, and does, with a whopping 80% off right now on this fabulous wallet, and more! To find out more about how to give a little back as you save a little more on the things you buy, head on over HERE and get acquainted with Fashion Project, now!! Disclaimer: This is a sponsored post, but my personal opinions are my own and remain true despite such minimal compensation. 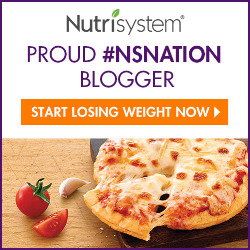 Your views may differ from mne, thank you!